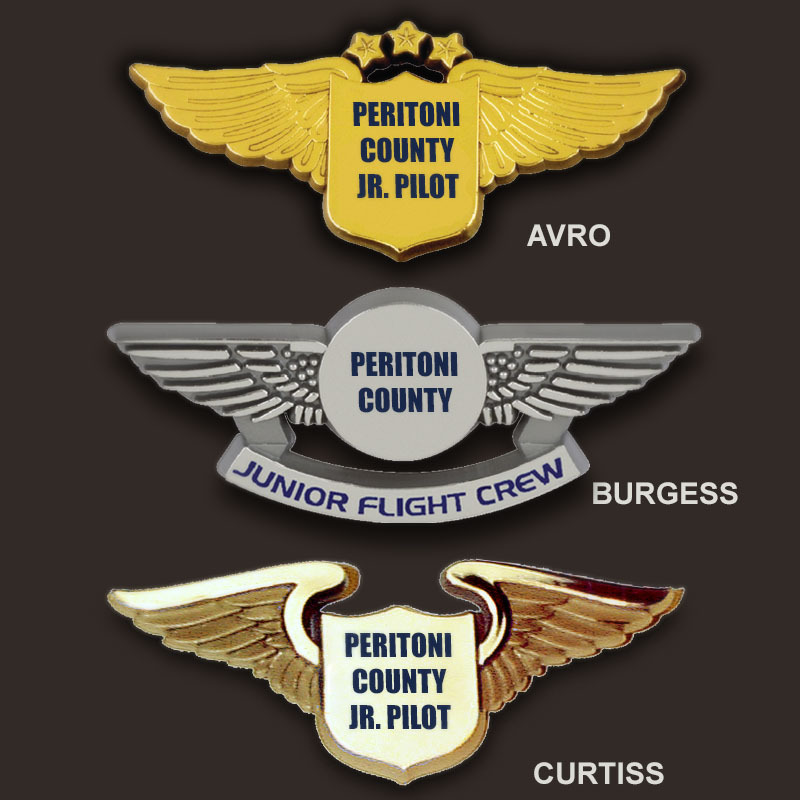 Our plastic pilot wings pins can be custom-imprinted with your message. Choose from 3 styles of wings -- Avro, Burgess and Curtiss. And choose silver or golden finish (Curtiss in gold only). We can imprint your custom message on the center shield and/or banner so your wing can make a special impact for your organization.